The account switch comes as a huge blow to Host/Havas with Defence Force being its biggest account. AdNews understands up to 50 redundancies will be made as a result. Clemenger Melbourne, TBWA Melbourne and M&C Saatchi were shortlisted in the final round of the pitch, but ultimately the account returned to VMLY&R, formerly Y&R, which held the business for 13 years until 2013. When Y&R Melbourne lost the account to Host/Havas, previously known as Havas prior to the 2017 merger, it was its biggest account at the time. The WPP-owned agency has struggled to bounceback from the loss of the account. Host/Havas held the account for four years with Defence Force extending its three year contract by 12 months in April 2018 with its current contract coming to an end in March 2019. The Defence Force win, said to be worth around $10 million in revenue, is the most significant for VMLY&R since its merger at the tail end of 2018. AdNews understands Y&R and VML pitched as a joint team prior to their merger under the leadership of now joint-CEOs Aden Hepburn and Pete Bosilkosvki. Director general at Defence Force Recruiting (DFR), Air Commodore Sue McGready, said: “VMLY&R bring experience and expertise that will enable DFR to recruit Australian Defence Force members into the future. "We look forward to developing a strong partnership with the team at VMLY&R over the coming months to set us up for the years to come." VMLY&R’s executive leadership team of Paul Nagy, Hepburn and Bosilkovski said they are thrilled to once again partner with Defence Force. “We’re honoured and delighted to be partnering with the Australian Defence Force - a modern, innovative, people-focused organisation and one of Australia’s largest employers. This is both a new business win and a homecoming for our agency group, with Y&R previously having held the account for more than a decade," the trio said. Current VMLY&R ECD Jake Barrow will now return to working on the account. “To say I’m proud to be working with DFR again is an understatement," Barrow said. "Our previous years with DFR produced many career highlights for our staff and I can now call this moment another. I’d like to give a huge thanks to the passionate and talented team at VMLY&R who are all raring to start." Industry sources were surprised by the agency shakeup with Host/Havas tipped to retain the business following a number of successful campaigns, which led them to take home the top honour at the 2018 Effies. Host/Havas CEO Laura Aldington, who was promoted to Host/Havas CEO after the merger, said the next priority for the agency is its staff and out of respect for them, will not be disclosing specific details on redundancies. "We can confirm that there will be a number of redundancies and the leadership team has now met with every single member of the agency and informed them of the impact on their individual roles," she said. 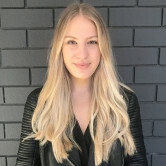 AdNews understands the redundancies will impact around 50 roles. Aldington thanked the team at Host/Havas for delivering the two "most successful years" in the business' history and noted the digital transformation it underwent. "They should feel justly proud of the last five years and the amazing contribution they have made, in particular the recent awarding of the Australian Grand Effie," she said. McGready added: “I would also like to thank Host/Havas for their achievements with DFR over the past four and a half years in an industry that has seen rapid expansion and change." 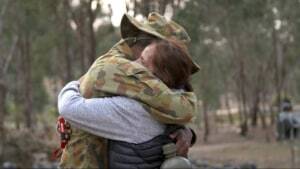 VMLY&R Melbourne has won the creative and digital account for Defence Force Recruiting following a competitive pitch, AdNews can reveal.